This Friday is the last day to order your Bonus Bundles for April! Here they are again if you have forgotten to order them! Today I share a card using the Six-sided Sampler Bundle saving you an extra 15%. 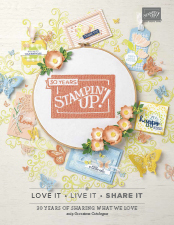 The bundle is Six-Sided Sampler Stamp Set and the coordinating Hexagon punch. The base card is Coastal Cabana with a layer of Crisp Cantaloupe card. The hexagons are stamped in Crisp Cantaloupe, Coastal Cabana, Pistachio Pudding & Basic Gray ink on Whisper White card stock and punched out using the coordinating Hexagon Punch. I covered the White card with a glue stick, then added the punched pieces. The overhanging edges I just cut later with the trimmer. 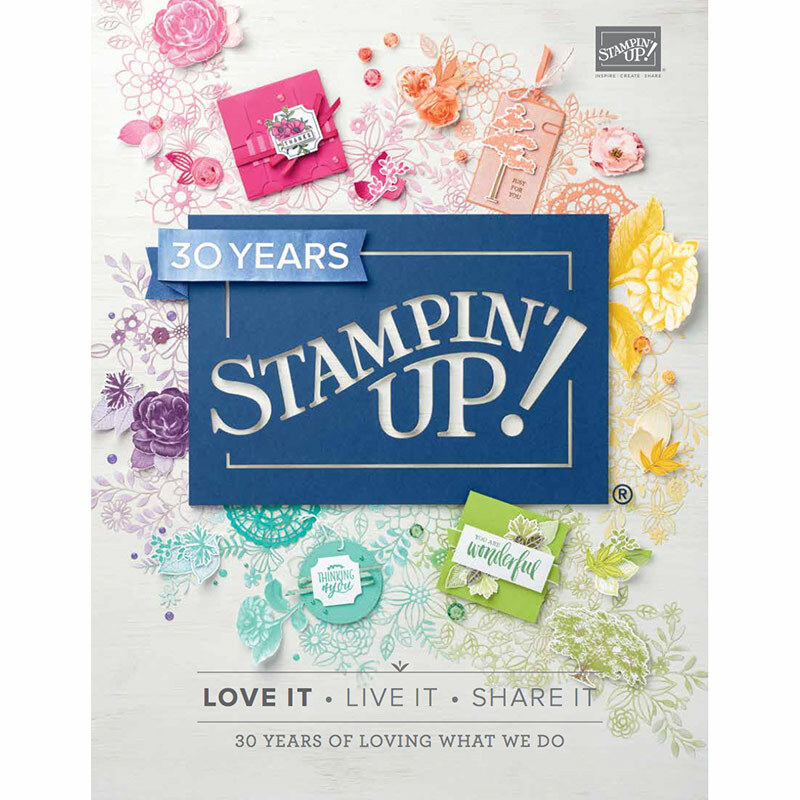 The greeting was coloured using Stampin’ Write Markers directly onto the stamp and lining them up with the Stamp-a-ma-jig! I cut a 3cm strip of gold glitter card and put one end into the Hexagon Punch and pulled it up through the inside (see below) then did the same at the other end! This was added with dimensionals and the greeting was also added with dimensionals with the addition of some Gold Bakers Twine. Here is another one I made using Soft Suede, Crushed Curry, Rose Red & Garden Green. I would love you to comment below with your thoughts on these cards. Tagged Feminine Handmade Card, Hexagon Punch, Masculine Handmade Card, Six Sided Sampler, Stamp-a-ma-jig, Stampin' Up!